Support your Vine Street teachers! Click on the link below to donate. 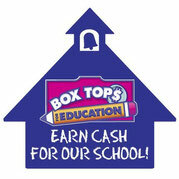 Collect Box Tops from participating products. Every 10 Box Tops equals $1.00 for Vine Street. Collection sheets can be obtained in the office or through your child's teacher. Redeem your code found on Coca Cola products (bottle caps and multi-pack boxes) to earn money for Vine Street. Vine Street Elementary is a Pre-k through 6th Grade school in Hollywood, California, serving the children and families of this community for more than 100 years. Principal: Kurt S. Lowry, Ed.D.